Last week when almost everybody had given up hopes I told you that there might be a possibility of a turnaround in Nifty. And I didn't say this based on whims and fancies... I had one solid reason to say what I said - Price Action. The price action in Nifty suggested a bounce back was possible. I showed you an illustration of a double bottom pattern. A double bottom occurs when a security drops, pulls back, falls back to its previous lows, then finally breaks out higher. The pattern often resembles the letter "W". Nifty was on the verge of forming this pattern after trending lower for more than a month. Apart from this there were two other reasons which suggested a recovery was overdue. First, it was trading above an important psychological support level of 10,000. Secondly, the daily RSI was forming a bullish divergence with price after hitting a 10-year low. That's not all. I even shared charts of two stocks which were forming a double bottom pattern. Both these stocks have trended higher during the week. Last week, I found further evidence which suggested there are bright chances of Nifty ending above 10,125 on 29th November 2018 which is the futures and options (F&O) expiry day for November series. Not only that I have also found two trading opportunities for my readers of Profit Hunter Pro. One of those stocks ended up more than 2% yesterday. I'll tell you more about them later. You can join Profit Hunter Pro today at just Rs 1,450 per month instead of the usual Rs 5,000 per month – a massive 71% off on the regular price. Plus, when you join today, you'll also get information on 2 stocks you could consider investing in right away. Click here for full details now. But first see let's check out the data which suggests Nifty could end higher this expiry. The last two futures and options (F&O) expiries have been very painful for the investors in the Indian stock markets. The benchmark index Nifty has fallen 13.76% in these two expiries. We concluded the October expiry with a cut of 7.77%. This was second major consecutive blow to the Nifty as it ended the September expiry with a cut of 5.99% as well. Two consecutive expiries with such a major cut is rare for the Nifty. In the last 15 years, there were only 9 instances when Nifty ended lower for 2 consecutive expiries and the total fall in it was more than 10%. 3 29-Nov-18 ?? ?? ?? Nifty ended on a positive note in the third month in all the 9 instances. The average gains of Nifty in the third month in the above 9 instances is 6.90%. Now what could be the reason that Nifty bounces back every time after such a fall? Like I said, two consecutive negative expiries with a total fall of more than 10% is rare. The bounce back in Nifty could happen because of two reasons. First, most of the negatives are already priced in and new information fails to move the prices lower after such a long down trend. Second, traders who have already gone short at higher levels become nervous and start booking profits when the prices don't fall further. 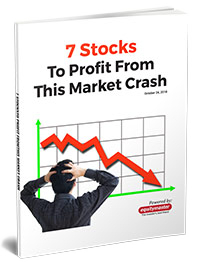 When many traders do this, it creates a buying frenzy which pushes the Nifty and many stocks higher along with it. Could it repeat the same in the November expiry? One can wait and watch what happens next in the Nifty. Meanwhile, I have figured out two trading opportunities for Profit Hunter Pro readers. Nifty has soared 3.5% in this week until yesterday. But its not the only one blazing ahead. All the sectoral indices are trending higher along with it over the last four sessions. Nifty IT index is amongst the best with gains of 5.96%. The IT sector was the best performer over several months witnessed a setback during the recent correction. Most stocks from the sector contributed to the downfall and moved in tandem with the sectoral index. However, many of them have bounced back smartly during the week. My first recommendation is a stock from the IT space. And the best part about it is that I am recommending it for the third time. The last two times this stock generated gains of 20% in slightly more than 2 months and 12.12% in 21 days. The stock is currently trading at a troika of support levels which is making it an attractive point for entry. All the three support levels are converging currently creating a good demand zone for the stock. The next stock recommendation is an 80-year old company which has stood the test of time after going through multiple business cycles. The last housing and infra boom helped this stock gain 3x. Now we are in the stock to make quick short-term gains but you know that the company is a strong candidate recommended by the StockSelect team. And at Profit Hunter Pro, I recommend trading only in companies which are fundamentally strong. I don't know how long the entry opportunity in these stocks will remain open. But if you want to buy them then you need to act fast. PS: It's almost Diwali. Everyone is feeling optimistic. 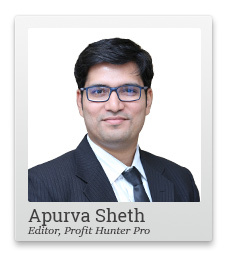 And our trading expert Apurva Sheth has two buy recommendations that could make this holiday season even happier. To get them now, sign up here. Equitymaster requests your view! Post a comment on "A 100% Chance Nifty Could End Higher in November Expiry". Click here! 1 Responses to "A 100% Chance Nifty Could End Higher in November Expiry"
You have given very interesting analysis of historical data of nifty behavior in the past occasions.I must congrats you for sincere hard work for deep study of past data of exchange. As you predicted, the market has turn around dramatically in the very first week itself.There is all possibility that Nifty will end in +ve in Nov series. I also studied your data and observed recovery may be around 10% in November.I have observed that when 2 months negative data having bigger difference ,the recovery though + ve but small.But when when 2 months negative fall is less,the recovery in the month is around 80%.With the improvement in global sentiments,stronger rupees,falling oil prices,fall in NPA of PSU bank,good Q2 result,sincere central government to address the issues of NBFC( RBI to sort out liquidity problem and come out with solution by 19/11/18 meeting ).It appears market will bounce back .